Amid a weakening global trend, gold futures fell by Rs 51 to Rs 26,294 per 10 gram on Tuesday, as speculators reduced their positions. Gold for delivery in October dropped by Rs 51, or 0.19 per cent, to Rs 26,294 per 10 gram in a business turnover of 443 lots at the Multi Commodity Exchange. In a similar fashion, the metal for delivery in far-month December shed Rs 49, or 0.18 per cent, to Rs 26,487 per 10 gram in 10 lots. Market analysts said the fall in gold futures was mostly in tune with a weak trend overseas amid speculation that US interest rates may still increase before the year-end as Federal Reserve officials sought to ease concern over the health of the economy, eroding safe haven demand. 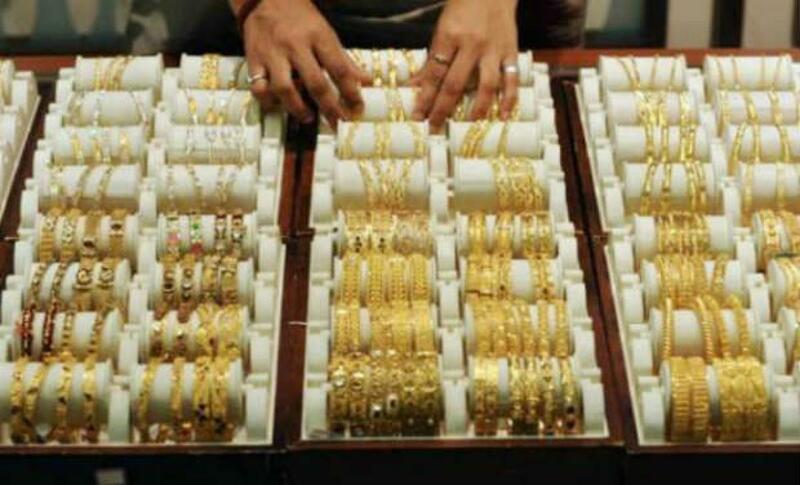 Gold prices fell by 0.57 per cent to USD 1,133.40 an ounce in New York on Monday.